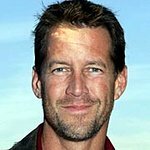 Jason David’s Corner Foundation (JDCF) announced today that actor James Denton, best known for playing Mike Delfino in the television series Desperate Housewives, will join its 3rd Annual Celebrity Golf Classic to help raise funds for the fight against kidney disease. The event will take place on Friday, June 24, 2011 at Industry Hills Golf Club in Industry Hills, CA. Denton is part of a roster of celebrities and professional athletes who are committed to promoting awareness and the prevention of a disease that affects more than 20 million Americans today. Ironically, in the most recent episodes of Desperate Housewives called “Searching” Denton’s character, Mike Delfino, a plumber married to Susan Mayer, played by Teri Hatcher, supports his wife when she learns that her dialysis treatment is not working and is in need of a kidney transplant, or else, she will die. Despite the fictional characters, this kind of story reads true to many Americans. Kidney disease patients who experience kidney failure without treatment can die within days due to build-up of toxins and fluid in their blood. In reality, Denton really does support life-saving causes. He has been a committed supporter to another non-profit organization that promotes organ donations and transplant research. “I am happy to help out in any way I can,” Denton stated in a recent interview on 710 ESPN in Los Angeles. " I see all the work Jason’s foundation is trying to do for kids and I think kidney disease too is something that touches everyone, I’ve got a friend who just donated a kidney to a guy he works with and I know Jason had a personal encounter with kidney disease." Denton concluded. 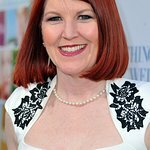 JDCF invites fans of Denton and Desperate Housewives to meet him at the golf classic. Attendees will have an opportunity to learn more about kidney disease, meet and greet celebrities and professional athletes, and enjoy food, fun, and entertainment on the golf course in the name of raising funds for kidney disease research. Confirmed celebrities and professional athletes for all three events include James Denton – actor Desperate Housewives; Alan Thicke – actor; Dave Lingwood – Buried Life Cast Member; Jonnie Penn – Buried Life Cast Member; Phillip Palmer – ABC 7 News Anchor; Michael Cage – NBA; Ken Landreaux – Former Dodger; Olden Polynice – NBA; Troy Grant – Professional Golfer; Brian Cook – L.A. Clippers, Hamza Abdullah – NFL; Hussain Abdullah – NFL, and many more!